Trifle Creative returned to Global Media Agency OMD UK to refresh their client facing meeting rooms. Following on from an extremely successful redesign of their reception area and ground floor office in 2013, the meeting room work was completed in December 2015. It was the first part of a much larger project to not only redesign four of their working floors but help introduce a much more agile style of work for the fast growing agency. 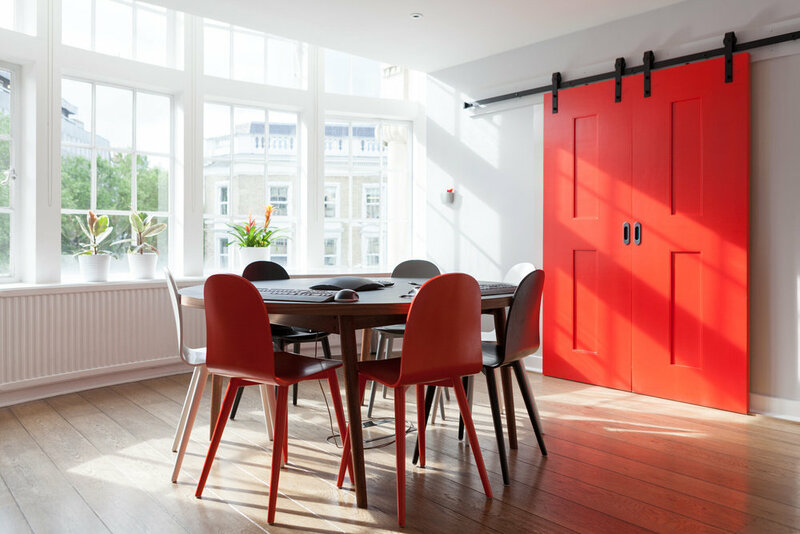 New furnishings and feature lighting as well as a mixture of vintage and bespoke accessories helped create modern and fresh meeting rooms with personality.